ORA™, or Online Reputation Assessment, is an unprecedented method to overcome the challenge of multiple review rating scales. Developed by J Turner Research, a leading apartment industry research firm, the ORA™ statistical model aggregates and analyzes online ratings to generate a single score on a 0-100 scale, that is easy to monitor, rank, and improve. 75% of surveyed residents utilize online ratings and reviews multiple times during their apartment search. The ORA™ score serves as the industry standard for measuring a property’s online reputation. This score is based on a monthly online reputation of more than 92,000 properties nationwide across various review sites. In our annual 2017 Industry Leaders’ Survey, dealing with online ratings and reviews has been rated as the number one concern by the multifamily industry. Additionally, in our most recent survey involving 25,200+ respondents, the effect of ratings and reviews on a prospect’s decision to visit a property is rated at 7.33 on a scale of 0-10. 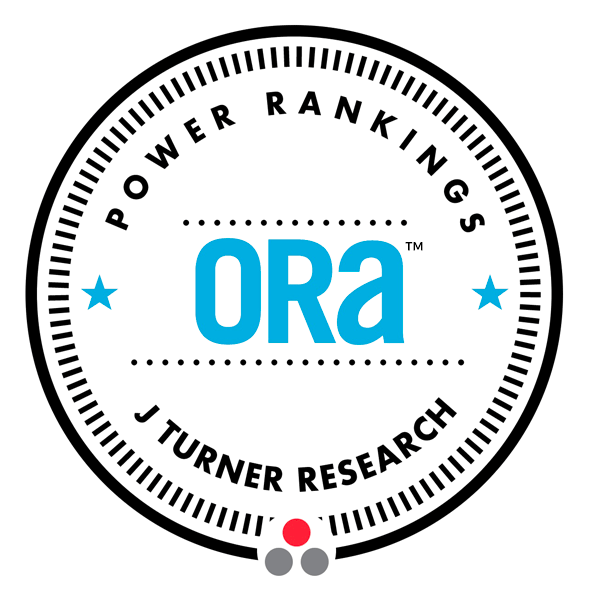 J Turner Research partners with Multifamily Executive to publish monthly ORA™ Power Rankings that ranks top properties and management companies in the nation based on their ORA™ scores. When we were presented with the opportunity to utilize Ratings Tracker, it was a very easy decision to say yes. Reputation Management is key to search and it is our digital curb appeal. Ratings Tracker makes it easy for our team to keep a pulse on their scores with one login. Your ORA™ score is the starting point to the J Turner Research 360 process. ORA™ determines your online reputation and begins the process of understanding what your residents feel about the current state of your properties and management. Use Ratings Tracker to manage, track, and respond to reviews. Make informed decisions about changes to your practices. See the direct impact - happier residents lead to positive reviews and a higher ORA™ score. Track your online score with our dashboard & reports. Identify your top scoring properties and see what practices can be implemented to improve company-wide management. Compare and contrast individual properties and portfolios - locally, regionally, and nationally. See where you outrank the competition, and see where you don’t. Use the detailed report data to make informed decisions on property and management changes, based on trends in score-impacting satisfaction factors.